Batukaru Temple, referred to by locals as Pura Luhur Batukaru, is one of Bali’s key temples, located at the foot of namesake Mount Batukaru. At an altitude of 2,270m above sea level on the second highest peak in Bali after Mount Agung, the temple is surrounded by cool natural forests, providing a pleasant sightseeing stopover for nature lovers. Moreover, the island’s most impressive expanse of rice paddies, Jatiluwih, is within a two-kilometre drive from the temple, making popular stopovers on excursions to Bali’s central highlands. The main structure of Batukaru Temple features a multitude of shrines with tiered roofs, and the complex is filled with ancient structures heavily covered in green moss. The walled compounds contain several shrines, as well as high 'meru' towers, and 'bale' pavilions with unmistakably ancient Balinese features, such as the dark grass roofs and intricate wall carvings. There are different courtyards inside the complex, sparsely positioned and on different elevations, connected through a series of flowering gardens and statue-lined steps. 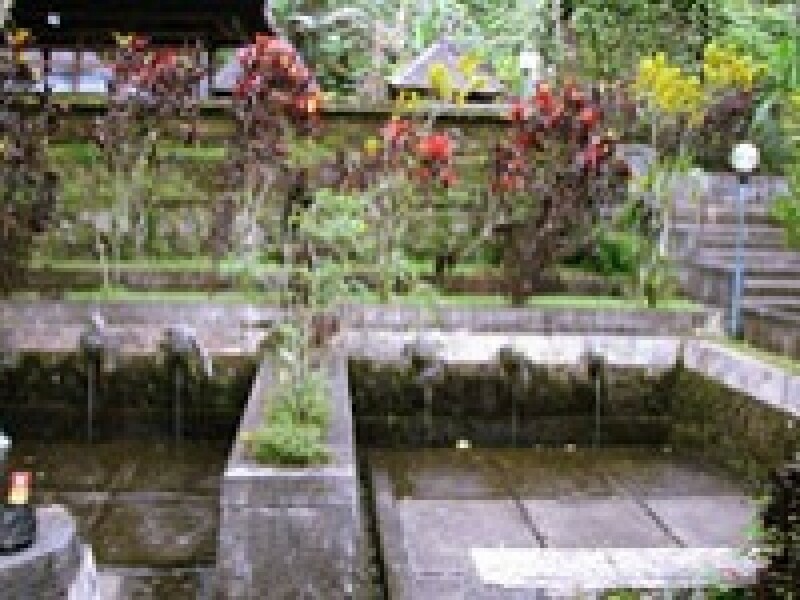 Within the main temple courtyard there is a freshwater spring that serves as the holy water source for prayers and ceremonies. Another separate spring serves cleansing and purification rituals. Mount Batukaru as a whole is considered a sacred site and the misty slopes of the heavily forested mountain enhances its spiritual vibe. The temple complex is frequented by visitors on any given day; however several parts of the temple’s inner sanctum remain off-limits to non-pilgrims. The temple is devoted to the Hindu god Mahadeva, considered the master of the air, water and plants. The 11th century Batukaru Temple shares the cool and quiet upland vicinity of the Wongaya Gede farming community in the Penebel Village of Tabanan regency. The best time to visit is during the temple’s biannual ‘piodalan’ temple anniversaries, which coincides each Thursday after the Galungan celebrations. Balinese families from adjacent villages in Wangaya Gede and from all over the island make pilgrimages to this mountain temple for blessings. 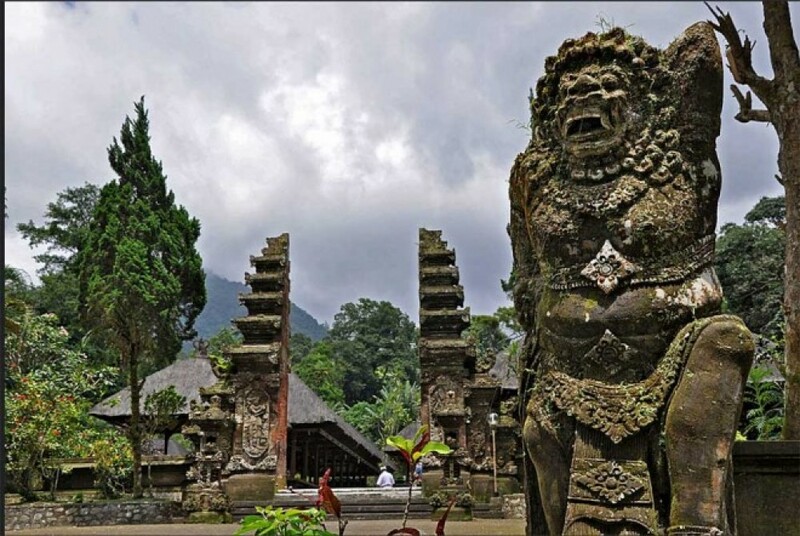 Old Balinese chronicles state that the temple suffered major destruction following a siege by the neighbouring Buleleng kingdom during the warring times of 1605 AD. The temple remained in ruins for a considerable period, until major restorations began in 1959 for over two decades, reinstating Batukaru Temple back to its current form. A visit to the temple calls for proper attire and conduct. As with any Balinese temple visit, you must wear a sash around your waist, which are available for free at the security post before the temple entrance, and women during their periods are not allowed to the temple grounds. There is a large parking area a kilometre down from the temple, where a variety of local kiosks and warungs offer local cuisine, snacks and refreshments. One of the traditional must-try cakes in the Tabanan region include klepon, palm sugar-filled gelatinous steamed rice flour balls served with shredded coconut.